On Six Mile, East of Newburgh road, North of 6 Mile Road. Next to the Boston Market. 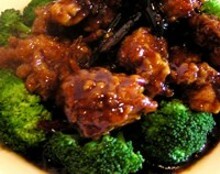 Delicious and affordably priced Chinese Cusine. Tea lovers's heaven. A place to relax and unwind while enjoy traditional and authentice chinese food. Try some bubble tea to cool down. Have an appertizer sampler plate with pot stickers, spring rolls, fried jumbo shrimps, and crab rangoons.